The Young Masters Little Wisdom – curriculum has been adapted for four distinct applications. 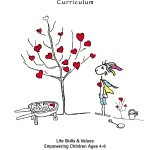 Each lesson and activity of this character education curriculum is based on the Young Masters Little Wisdom books written by Award-winning author and Grammy® Winner Bunny Hull. Designed to empower children by connecting them with a variety of life skills, values are explored using stories, songs and an interactive curriculum that will inspire your children as they learn important values, social awareness, life skills and the ability to problem solve and make intelligent choices. Thank you for the work you do with the children in your world! May all your dreams come true.